The final stop on our honeymoon, I had heard lots of doom and gloom about eating gluten free in Singapore. However, we found some brilliant gluten free spots including a fully gluten free bakery and delicious crepes. 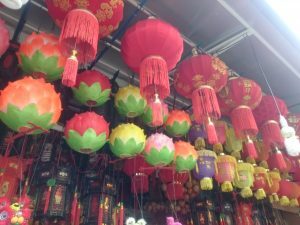 Singapore certainly takes a little planning, but take my tips with you and you will have a foot up when exploring gluten Free Singapore. 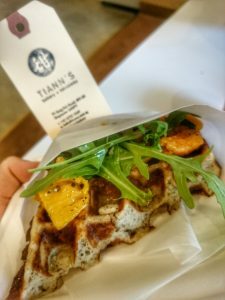 Tiann’s is a wonderful 100% gluten free bakery in Singapore and was my gluten free Singapore highlight. 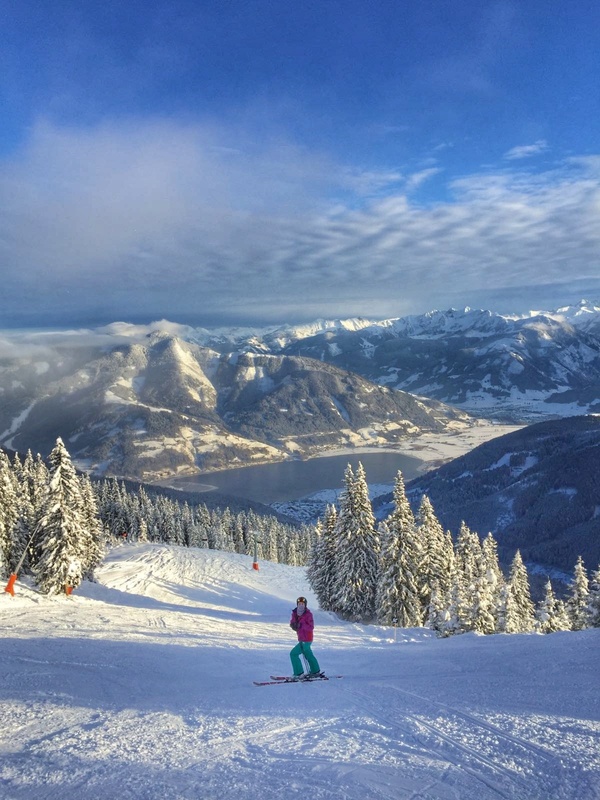 Based in a cool, hipster neighbourhood, it is off the tourist trail but well worth a visit. We tried excellent cakes, including a chocolate hazelnut slice and some epic savoury dishes. 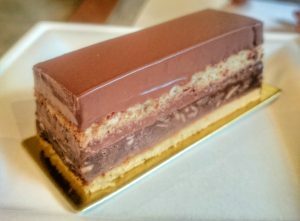 I HIGHLY recommend this as a stopping point for coeliacs visiting Singapore and urge you to stock up on treats while you are there! The cakes were delicious and there was lots of choice, and don’t even get me started on their inspired savoury waffles. I had such a happy, full tummy after our visit. I had gluten free waffles topped with roasted butternut squash, feta, rocket and sundried tomato paste. Such a treat. 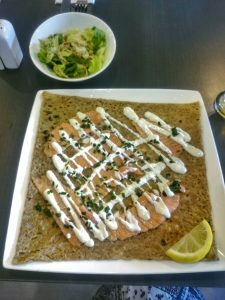 Tasty gluten free buckwheat galettes – spectacular with smoked salmon and crème fraiche from Entre Nous in Singapore. This café is run by a lovely French lady who understands coeliac needs and ensured mine was cooked completely separately from the gluten crepes. A cute spot for lunch or casual dinner. 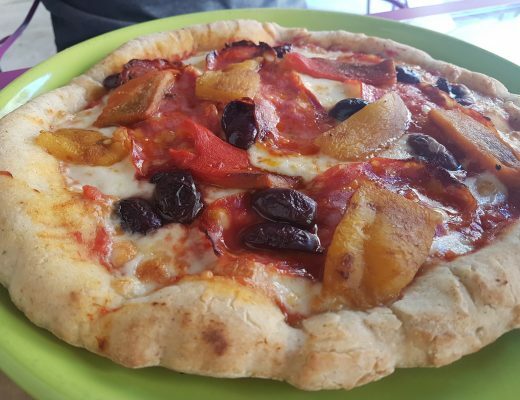 Gluten free items are marked on the menu and there are a few dishes to choose between. Good for brunch or lunch. 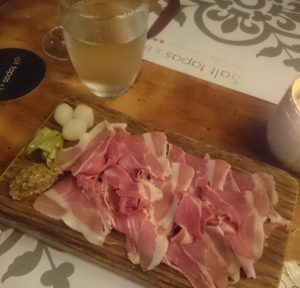 We had a tapastastic meal at Salt Tapas & Bar in Singapore. Super helpful staff marked up the menu items and knew I needed to avoided any deep fried items because I am coeliac, which was reassuring. There was not a vast range of gluten free dishes, but enough for two of us to share a selection. 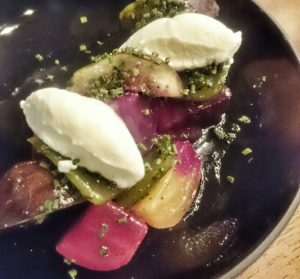 The fish of the day dish we had was cooked perfectly and this beetroot, ricotta cream, fig and pickled green chilli dish with a honey and thyme dressing was one of my favourites. We didn’t get to try this place ourselves, but their menu is heavy on gluten free bread options and the brunch in particular sounds gooooood. Gluten free french toast – yes please! Although please give them a call to check about their coeliac credentials before heading here. A chain of coffee shops, apparently Croute in Singapore now stock a gluten free and dairy free range. They are all manufactured in a coeliac-safe facility by Oh My Goodness. Worth checking out if you are nearby as this could be a great spot when snacking on the go. 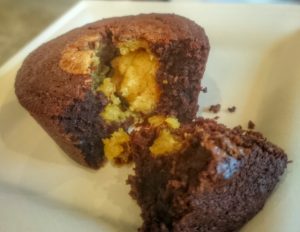 Wild Honey offers gluten free bread as an option with some of their brunch dishes and they offer a flourless gluten free cake option every day. The gluten free choices are marked on the menu. A warning about Raffles. I read lots of recommendations about their gluten free afternoon tea before I visited. We ended up eating in one of their restaurants, thinking we were in safe hands, but they accidentally glutened me (the manager came over in a panic half way through to tell me) due to a kitchen mix up. I am therefore reluctant to recommend them myself and would say that if you do want to try them that you ask lots of questions and double check that you meal is definitely gluten free when it arrives. 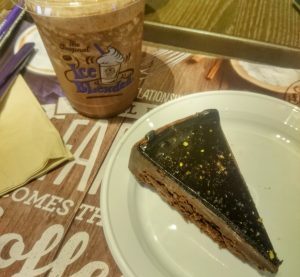 A quick note to mention that we found gluten free chocolate torte cake at Coffee Bean in Singapore airport. I mentioned I had an allergy to the staff and they promptly used a clean cake slice to serve it and avoid cross contamination. I hope you enjoyed reading about my gluten free Singapore experience. 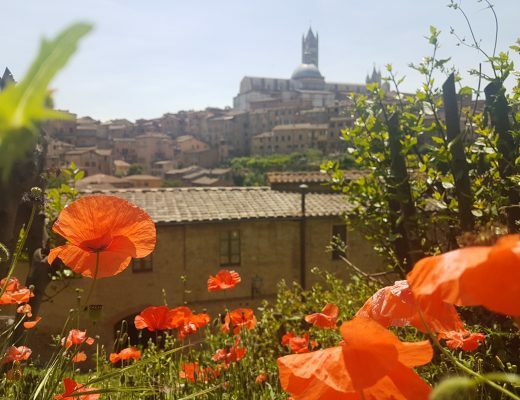 It is an extremely cosmopolitan city and we had a fun few days there. It is always worth reading up on new openings before you leave for your trip, as the restaurant scene in Singapore moves quickly and there might be some other good gluten free additions.